Want to learn about what’s in the Wisconsin State Budget? Concerned about whether supports people with disabilities need will continue to be funded? Attend a State Budget Training in your area. 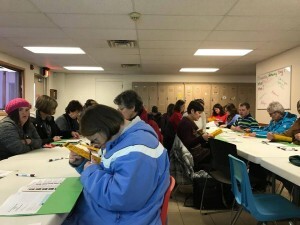 The Wisconsin Board for People with Developmental Disabilities, The Arc Wisconsin and Disability Rights Wisconsin are partnering to bring budget trainings to as many communities as possible during the months of March and April. Walk-through important topics: education, children’s long-term supports, adult long-term support programs, direct care workforce, mental health, transportation, employment and other key issues. To register click the link below. Check back for more location information in Eau Claire, LaCrosse and the Fox Valley. Contact Sally Flaschberger at Sally.Flaschberger@drwi.org or by phone at 414-292-2737. These are accessible training locations – To request disability related accommodations for a training session, please contact Jeanie at Disability Rights Wisconsin at 608-309-2657 or jeanie.parker@drwi.org. Place your request as soon as possible, and at least two weeks prior to the training date. We will make every effort to meet your accommodation needs. State Budget Trainings are offered every other year.